Generosity that inspires all who hear of it has created a new wildlife sanctuary in Concord, MA. Nancy Beeuwkes has donated an astonishing 143 acres of land along the Concord River to Mass Audubon—to be preserved forever. It is a natural gem that includes a half mile of riverbank, spectacular views, forested upland, open field, diverse wetlands, and habitat for a variety of rare plant and animal species. The 3,800 acre Great Meadows National Wildlife Refuge, a portion of which is located on the opposite side of the Concord River and running to the north and south. A 1,200-acre area with conservation protections to the west known as Estabrook Woods. The abutting 80-acre October Farm Riverfront to the south, a conservation area established by the Town of Concord and the Concord Land Conservation Trust in 2016. In an interesting twist, this new sanctuary is a part of the original 300-acre homestead of William Brewster—noted ornithologist and Mass Audubon’s first president. It was his retreat from city life in Cambridge. He would often camp out along the river hoping to hear, or catch sight of, a bird that interested him. Brewster’s house, which dates back to the 1700s, will also be conserved. While the property itself holds these notes of historic interest, the gift of the property is also historic. It is the largest single gift that Mass Audubon has received since it was founded in 1896, and one of the largest conservation gifts in the history of the Commonwealth. In Brewster’s Woods, atop Davis Hill, looking down at the Concord River. 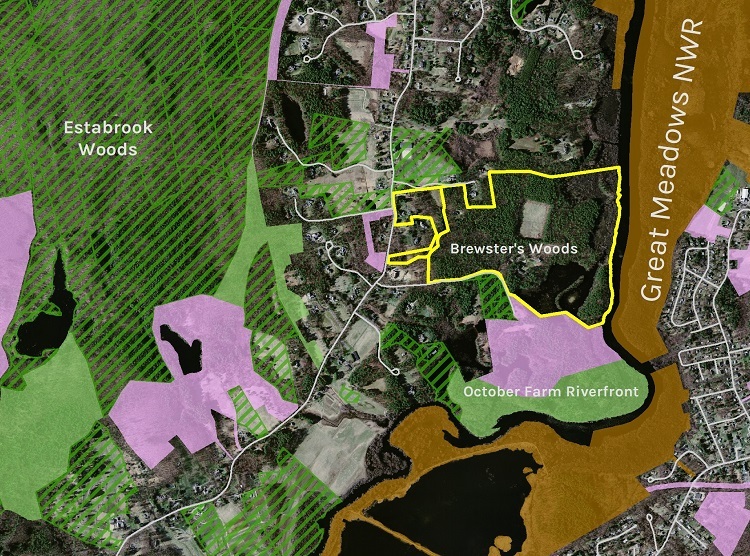 Brewster’s Woods Wildlife Sanctuary is not yet prepared for the public, but it will be in the near future. The first step will be establishing a parking area and opening a trail system. Later, there will likely be educational events and programs. Some of these will be designed to explain how the resilience of conserved landscapes like this one can be bolstered in the face of climate change. We look forward to welcoming you to Mass Audubon’s newest wildlife sanctuary soon! 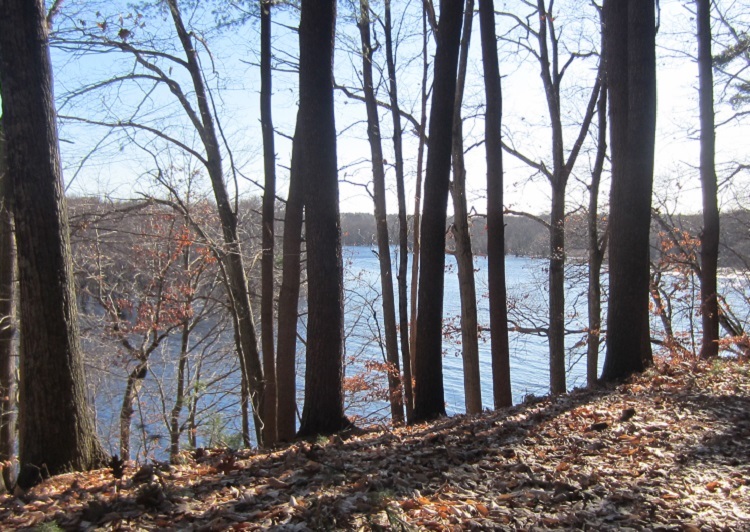 This entry was posted in Acquisitions and tagged Brewster's Woods, Concord, Gift on January 29, 2019 by Land Conservation.